The last ten years have seen a digital transformation driven by ubiquitous computing. Consumers expect to have 24/7 access to the information and content to which they have increasingly become accustomed, and marketers can now leverage an omnichannel approach to consumer engagement, creating experiences that are no longer limited to a physical space. With this in mind, virtual, augmented and mixed reality (XR) has an increasingly large role to play in blurring the boundaries of the physical and digital worlds for both consumers and enterprises. Thus, corporate leaders are tasked with reimagining the experiences they want for their customers in the face of a changing technological landscape and begin crafting a strategy for XR. According to Mary Hamilton, Managing Director of Accenture Technology Labs, the digital experiences that we have with virtual, augmented and mixed reality—which she bundles together under the all-encompassing term “extended reality” or XR—will change the way we live and work. Speaking at Greenlight Insights’ 2017 VRS Strategy Conference in October, Hamilton’s enthusiasm for XR experiences was evident. Extended reality, Hamilton said, is in a perfect position to take advantage of these combinatorial effects. Accenture, for example, looks into both enterprise and consumer use cases, but the enterprise will drive the technology forward. The company has five areas of focus for extended reality applications—training, design and engineering, manufacturing and operations, information visualization, and virtual conferencing. All of these XR applications have the potential to provide enterprises with a significant return on investment, said Hamilton. Taking into account that billions of dollars are currently being spent to bring XR ideas to life, there is demonstrated need for companies to keep up with the pace of innovation. Training, for instance, is one area that can benefit from XR-related strategic attention. During her session, Hamilton cited recent experiments conducted by Accenture which pitted traditional training techniques against augmented or virtual versions. In the vast majority of cases, people who learned things in the AR or VR space were not only able to solve problems quicker but also retain knowledge for longer. In one example, a children’s hospital in Miami found that people who did CPR training using traditional techniques retained 20 percent of what they had learned for one week. By contrast, the immersive training allowed people to remember 80 percent of CPR knowledge for a year. Irrespective of whether or not that makes you nervous about requiring CPR when visiting Miami, the message is clear. An immersive experience is one that stays with an individual for longer. 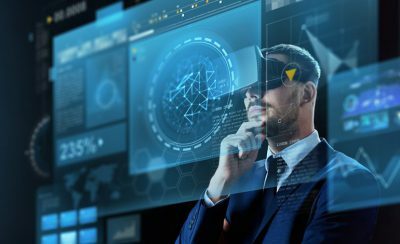 In addition, a proactive attitude to XR will allow companies to increase employee productivity and performance while creating new monetization channels for the future. In a VRS 2017 fireside chat with Ben Lang, RoadtoVR’s executive editor, Accenture’s managing director Jason Welsh said that enterprise was a key space for the company, with 70 percent of XR deployments coming in workplace environments such as engineering and operations. As more untethered headsets become available, Welsh said that he expected large-scale deployments to become the norm. The flip side is that getting all the elements of an augmented or virtual reality experience right is a major challenge. Enterprise adoption is being hindered by the level of technology available, a common complaint for any company that has integrated cutting edge tech into its business practices in the past. For instance, around 65 percent of Accenture’s clients are still trying to figure out how to implement an XR strategy, Welsh said, with many of those companies or decision makers more than aware that the sector is essentially a startup community. The key is not to focus on XR’s limitations in 2018, but to understand what it can do already. In other words, by the time XR matures, enterprises will ready to take full advantage. 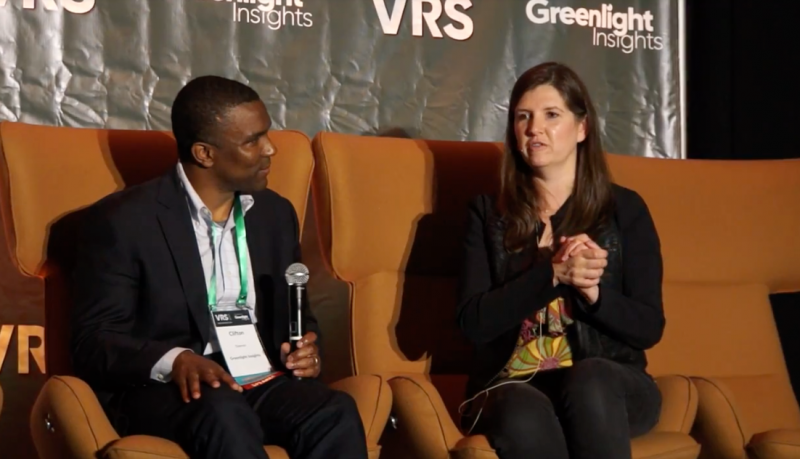 During his opening remarks at VRS 2017, Greenlight’s CEO Clifton Dawson said that the virtual and augmented industry faced distinct limitations. As you would expect from a tech that has experienced a significant level of funding from venture capitalists—around $1.9 billion in 2017 alone, according to our data—and media hype, there is a degree of heightened expectation that is unlikely to diminish in the near future. It is worth noting that first generation technologies will always have teething troubles, but there has been meaningful progress in the last two years, especially when you combine that with the inevitable digital transformation that most companies have undertaken. Content and applications have become more native, and practical use cases are appearing almost every day. With that in mind, it is obvious that the enterprise applications are incredibly important to not only VR and AR but also mixed and hyper-reality. Mass adoption is still not guaranteed, but any uptake in daily use by companies and consumers is likely to be predicated on how that continued development plays out in the real world. Planning for Virtual Reality Strategy Conference 2018 has already begun. To make sure that you don’t miss out on this year’s conference, register early.